The other night I was invited to an amazing gourmet hot dog preview from London-based Street Kitchen at The Miller pub in Bermondsey ~ good job I had a serious hankering for hot dogs. 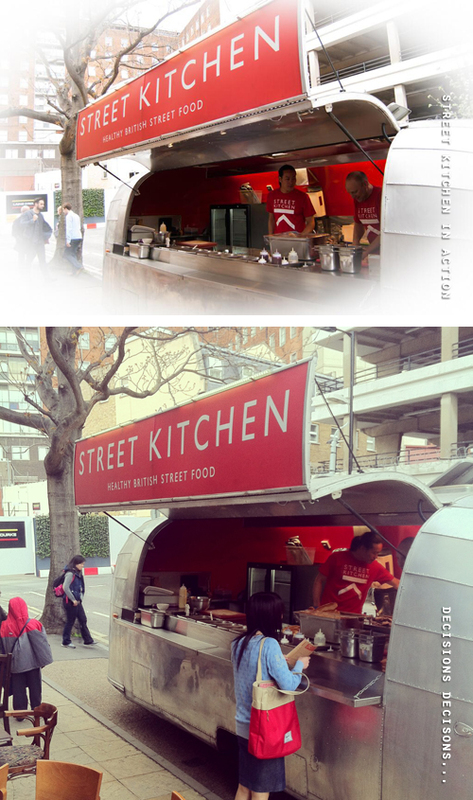 The menu was specially devised to introduce the residency of Street Kitchen at The Miller and I found myself in hot dog heaven, rolling around on a soft bun shaped cloud featuring gourmet ingredients sourced directly from UK farms with a selection of seasonal salads and slaws. The tasting session menu included three signature hot dogs: The American Pitbull ~ smoked pork sausage with ‘chapel down’ red wine onions, ketchup, sweet mustard dressing and pickled cucumber, the Boston Hound ~ smoked sausage with slow braised belly pork, red cabbage slaw, celeriac remoulade and barbeque sauce, and the Basque Terrier ~ smoked pork sausage with a spicy chorizo salsa, avocado, jalapeno and pickled red onions. My favourite was the Basque Terrier with its mix of spicy and tangy all housed in that soft bun. I found the Boston Hound a little too sweet for a hot dog but the belly pork was —um, out of this world, the ‘nibbling’ crackling added a nice crunch. I didn’t get to try the the American Pitbull as they’d ran out. 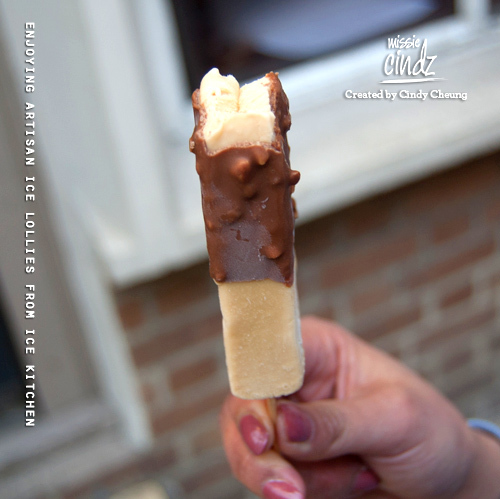 As a finishing touch, I also got to try artisan ice lollies by Ice Kitchen (it was great to meet you Cesar and to hear the passion for your products) and a glimpse of the new exhibition of Pure Evil artwork. The Miller also have some really great beers in from Partizan (twitter: @PartizanBrewing), a small microbrewery in London. 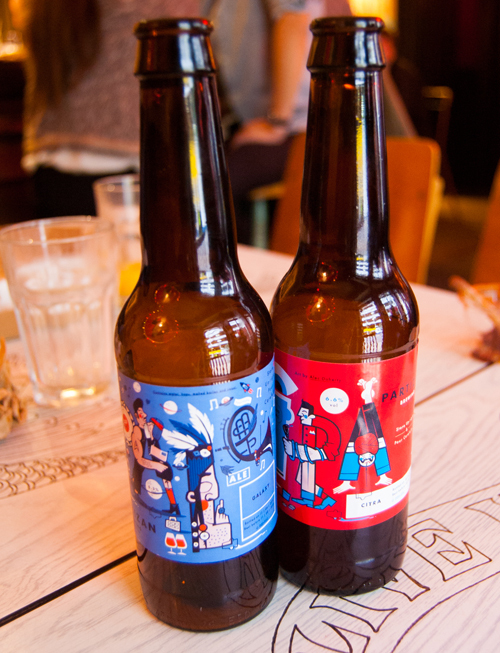 I love the branding, the graphic design on the bottles were impressive, oozing a tasteful touch of Scandinavian art illustrated by the talented illustrator Alec Doherty, who I’ve been a fan of his work for a long time. 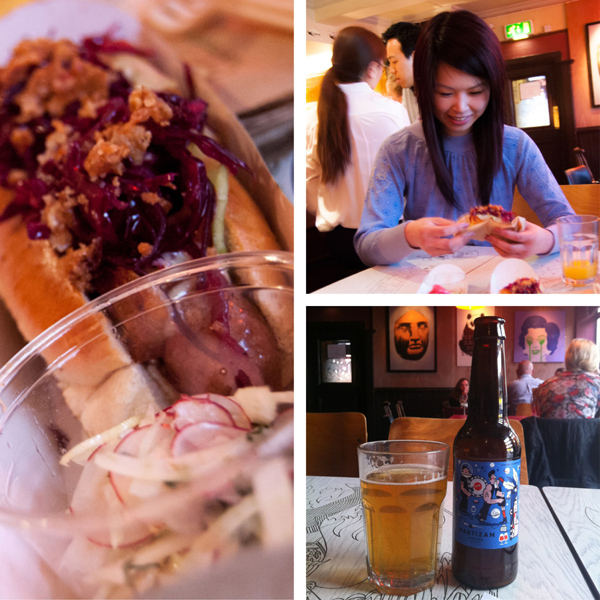 London made hot dogs and local beers – I'm loving summer already! Needless to say, my belly seemed pretty happy. It’s amazing to me what can be cooked right on the street without the need for a fancy kitchen and equipment (Street Kitchen cook from a a vintage trailer). Street food is really big in London and has become probably one of my favourite kinds of foods this year because the people who make it focus on one thing, and usually do it really well. 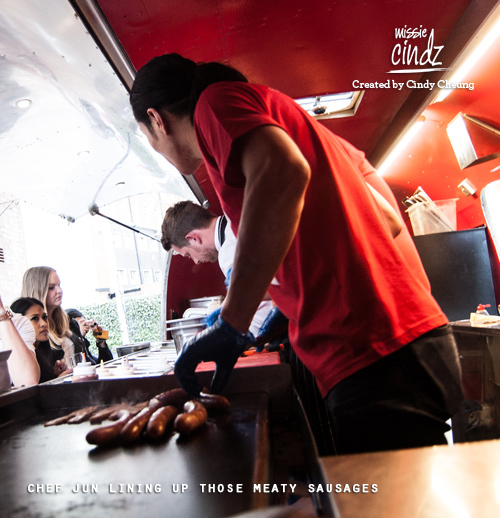 We didn’t have very many street food vendors in Sheffield – and the food movement was just kicking off, but I am a huge fan of food trucks and look forward to discovering more places to eat in London!